Egils Rozenbergs is the first Latvian artist, whose creative sketches will be realized in large scale tapestries in France, in two of historically famous Gobelin weaving manufacturies - La Manufacture des Gobelins (located in Paris, founded in 1601 during the reign of Henri IV) and in La Manufacture des Beauvais (located in Beauvais, founded in 1664 during the reign of Louis XIV). This is an incredible achievement and honour for the artist, especially if we keep in mind the significance of these institutions in the course of history in France. Country, which had always been proud and was famous with Gobelin weaving traditions and manufacturies and where mostly sketches from famous French painters were executed for notable interiours. Now all three actively working French manufacturies (La Manufacture des Gobelins, La Manufacture des Beauvais un La Manufacture Savonnerie) are joined in one state structure called Mobilier National (full title – “Mobilier national et Manufactures nationales de tapis et tapisseries”), being under the Ministry of Culture of France. 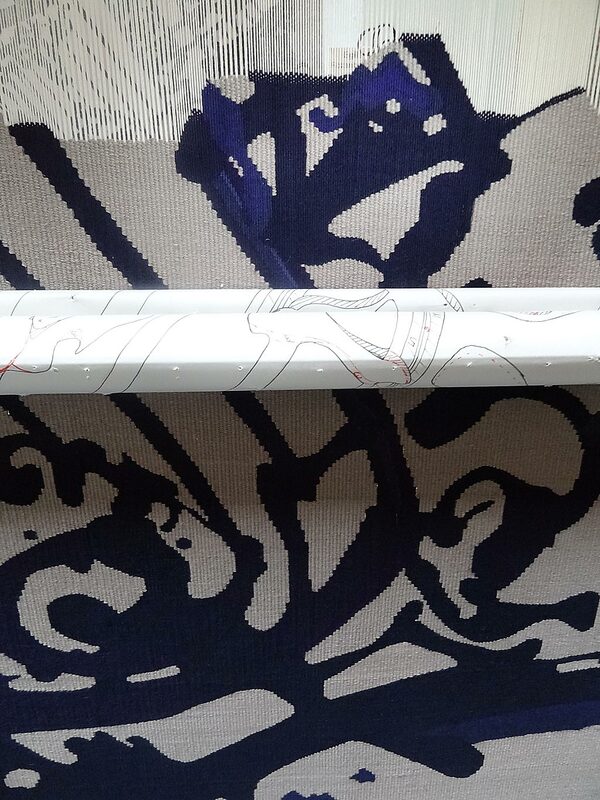 It is important to mention that in the 20th century world famous artists’ works as those from Marc Chagall, Pablo Picasso, Henri Matisse, Joan Miro were weaved, including of course the famous French tapestry master Jean Lurcat. Nowadays artists (in most of the cases selected by recommendations or invitation) have to face big competition before their sketches will be accepted for realization. 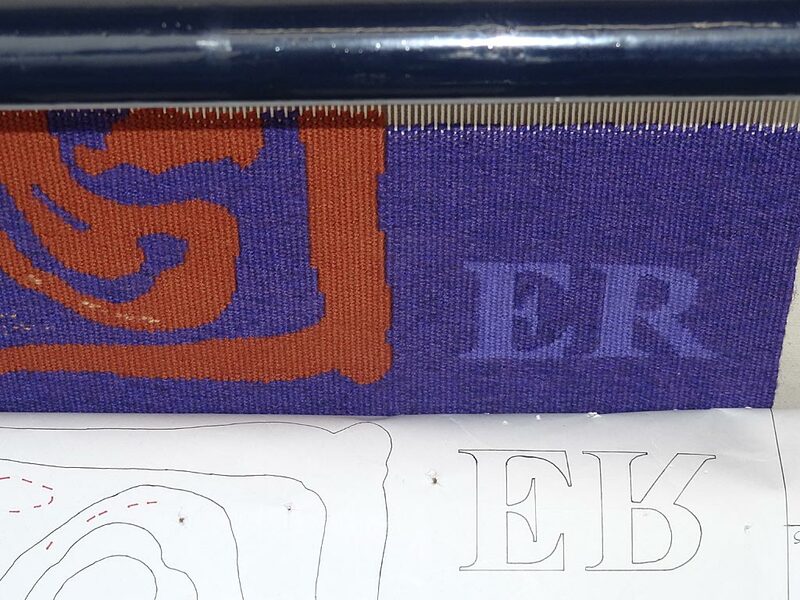 It is important to mention that Egils Rozenbergs is the first artist from the Baltic countries, whose two sketches have been accepted and will be weaved in Gobelin techniques. Later they will become part of the collection of the Mobilier National alongside with the mentioned above celebrities works. 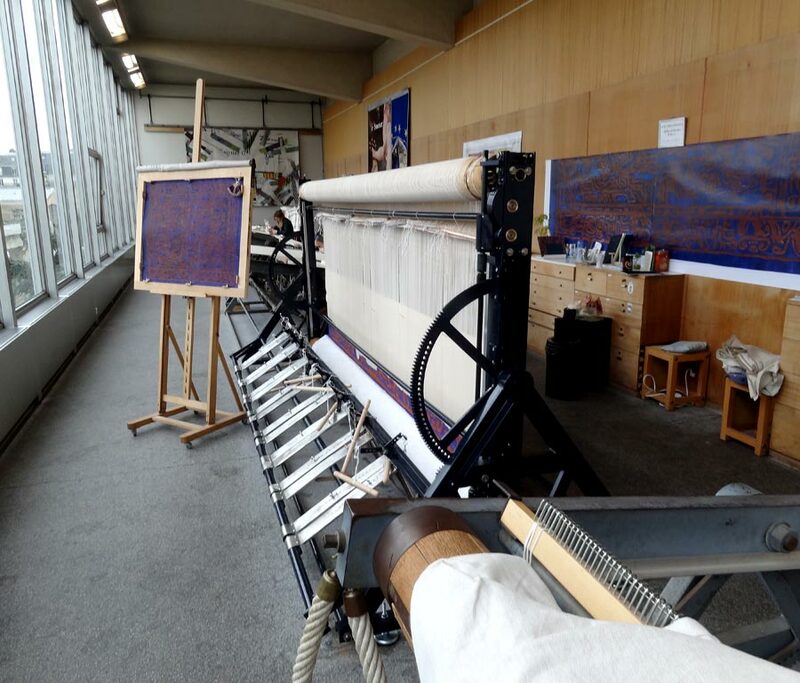 Artist’s road to achievements started a few years ago, when the invitation from the curator of the French Ministry of Culture was received to apply for the international competition for the possibility of weaving some work in one of these famous Gobelin workshops in France. Following the invitation, artist applied with several proposals –sketches for Gobelins. Certain role for his choise of sketches played his trip to Paris in 2011, when he had a possibility to stay and create in the Cité des Arts. There he studied the city, its urban environment and architecture, as well as French culture. The following themes were chosen for the competition: Latvian traditional ornament as a contemporary language of signs (series “Tradition”), high tech schemes and their transforming into 21st century ornament (series ”Conversion”), the “rebirth” of old French lace in a free plastic form (series “French Lace”), innovative approach in reflecting historically important periods in art history of France and other countries (series “Reflections – contemplation”). 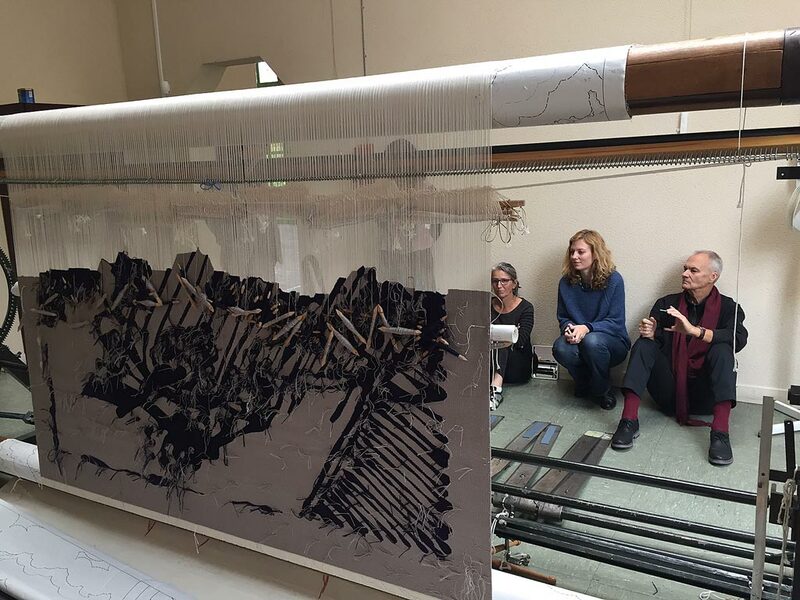 As a result of the competition, two of his sketches from the series “Reflections – contemplation” were accepted and included in the Mobilier National future plans for weaving. One was accepted for execution at the Paris manufactury, another – at the Beauvais manufactury. 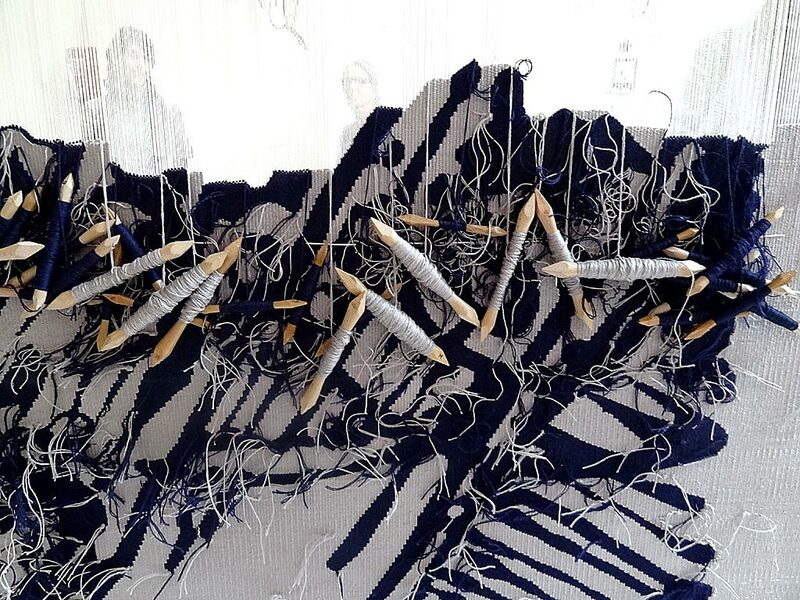 At the moment weaving of “Reflections – contemplation” No. 1 in Paris workshops has already started. 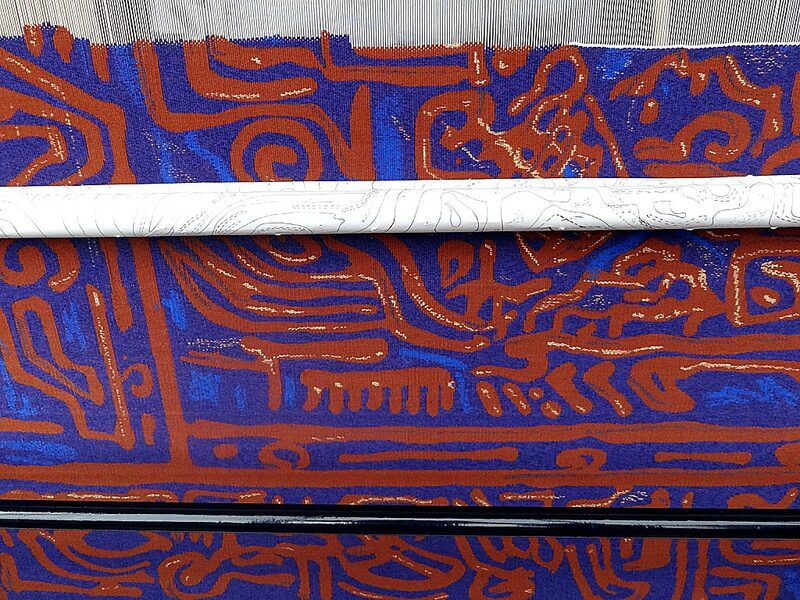 The main idea of this work is inspired by different civilizations, their cultures and artistic traditions. Composition is weaved in historical Gobelin technique la basse- lisse. 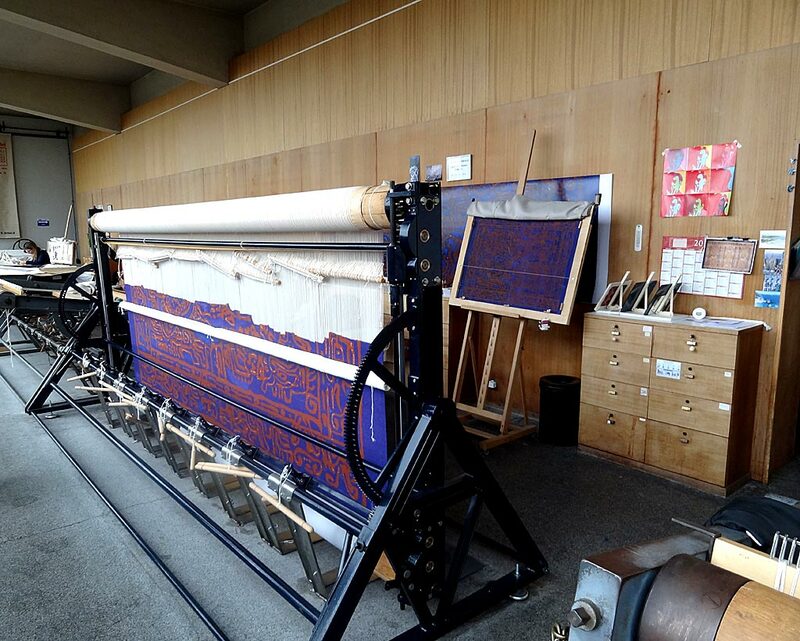 This technique is very fine and labour-consuming, weaving process goes according historical traditions, therefore the work will last for two years. 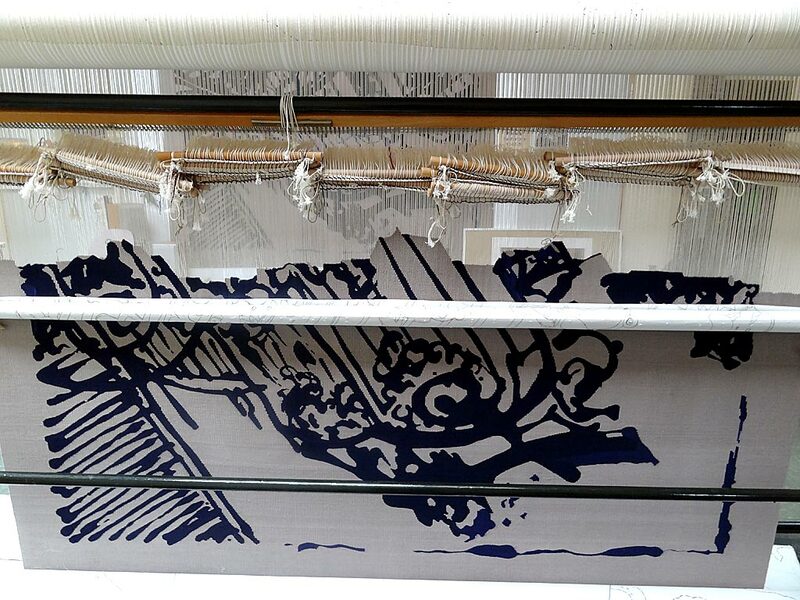 Later the same work will be executed in another historical technique – velvet Gobelin, which will be done on la haute-lisse loom. Tapestry “Reflections – contemplation” No. 2 (impressions on French urban environment and architecture), in its turn, is being materialized in Beauvais manufactury. 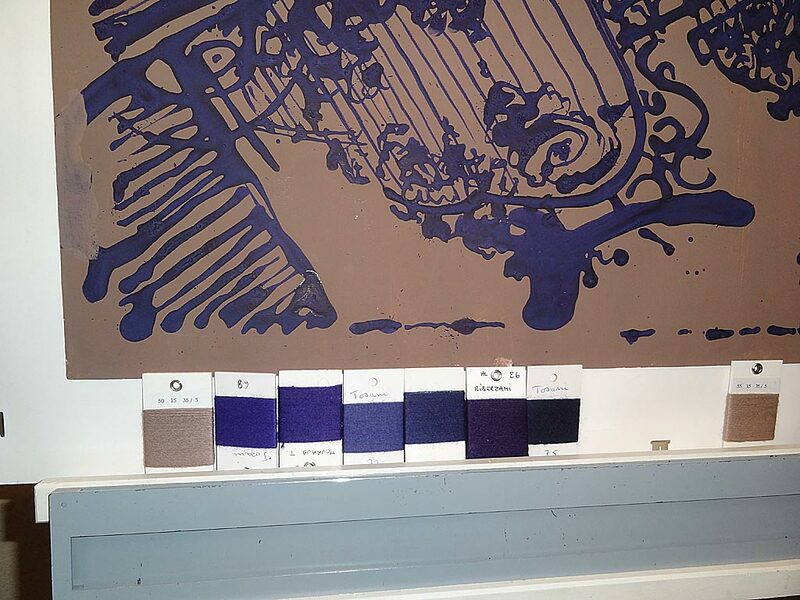 Careful preparation works on carton, selecting technique, materials and colour scale have been finished, several patterns - weaved. 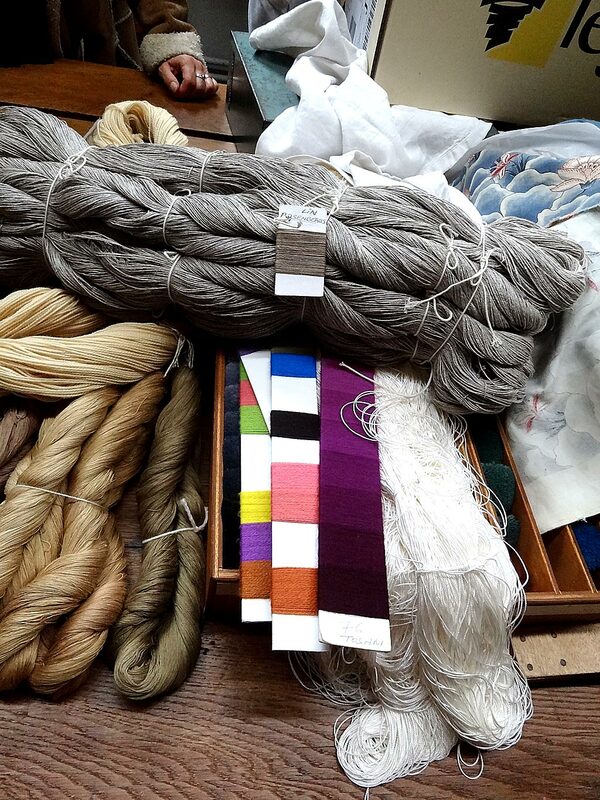 For achieving the utmost perfect result and not to make mistakes, weaving workshops work hand- in -hand with the artist. 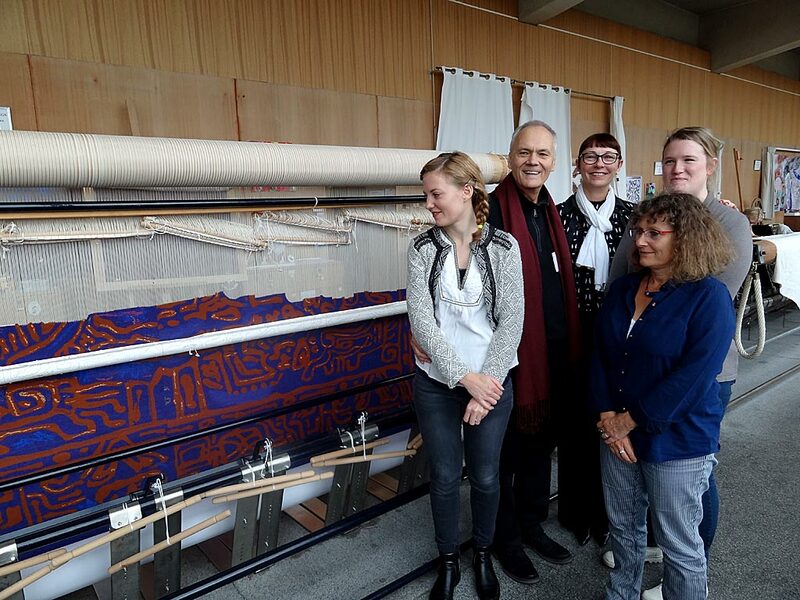 Recently Egils Rozenbergs went to Beauvais to give his consent to techniques, colours and materials and already woven patterns. 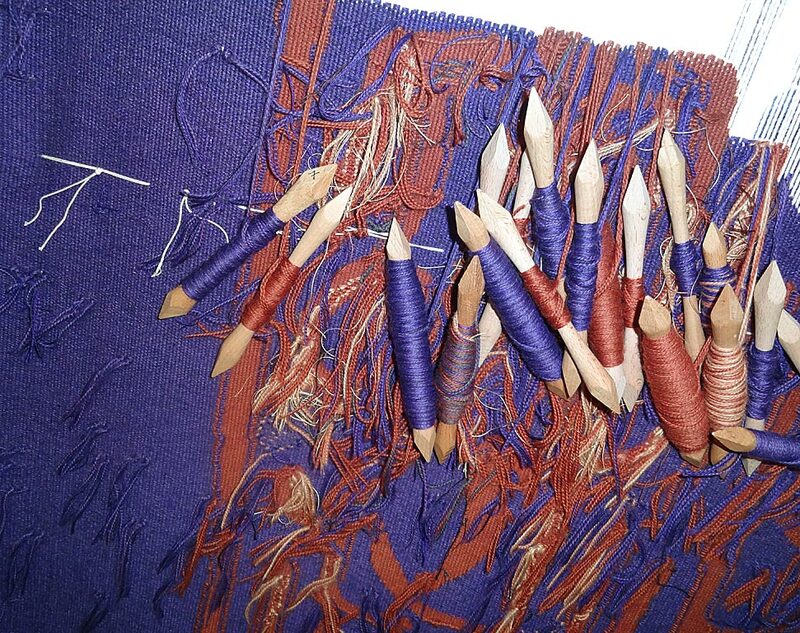 Weaving is done by several professional weavers. 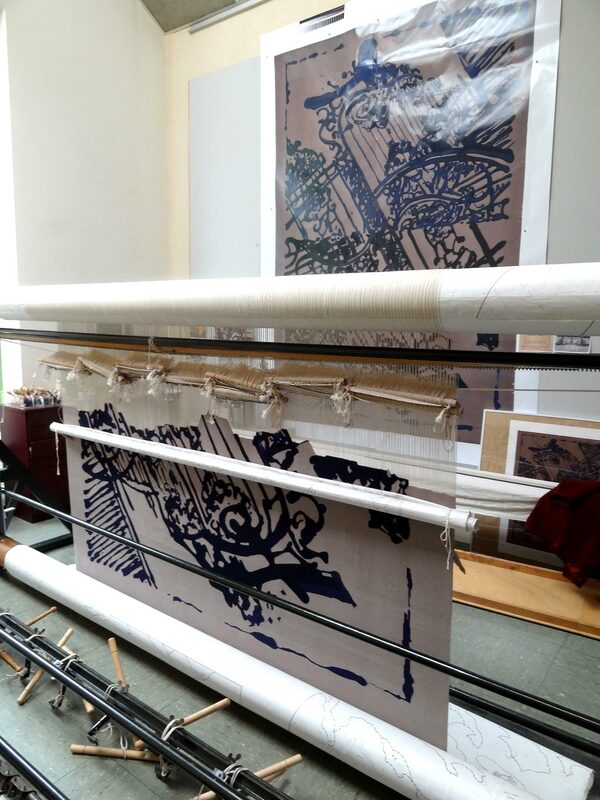 When the work will be finished both tapestries will become the property of France and will be included in the collection of La Mobilier National. Later they will be used for representational purposes of the State. For the Latvian audience Egils Rozenbergs and his creative career is well known. Artist’s works are in different museum collections (e.g. Latvian National Museum of Art in Riga, Museum of Art and Design in New York, Cliveland Art Museum (USA), as well as in public interiors and private collections in Latvia and abroad. His forty five years long creative career is very wide and many-sided. Artist has taken part in different local and international exhibitions and projects, he has organized large scale one-man shows in Latvia and abroad. One of his largest recent shows (including recent and also retrospective works) was in Riga, Exhibition Hall “Arsenāls” in 2013. Showing the wast range of creativity it will definitely stay in our memories for a longer time. We consider it natural that the Egils Rozenberg’s talant and creative career has been also evaluated in France and artist’s name in the future will be ranked among world’s famous names in art.